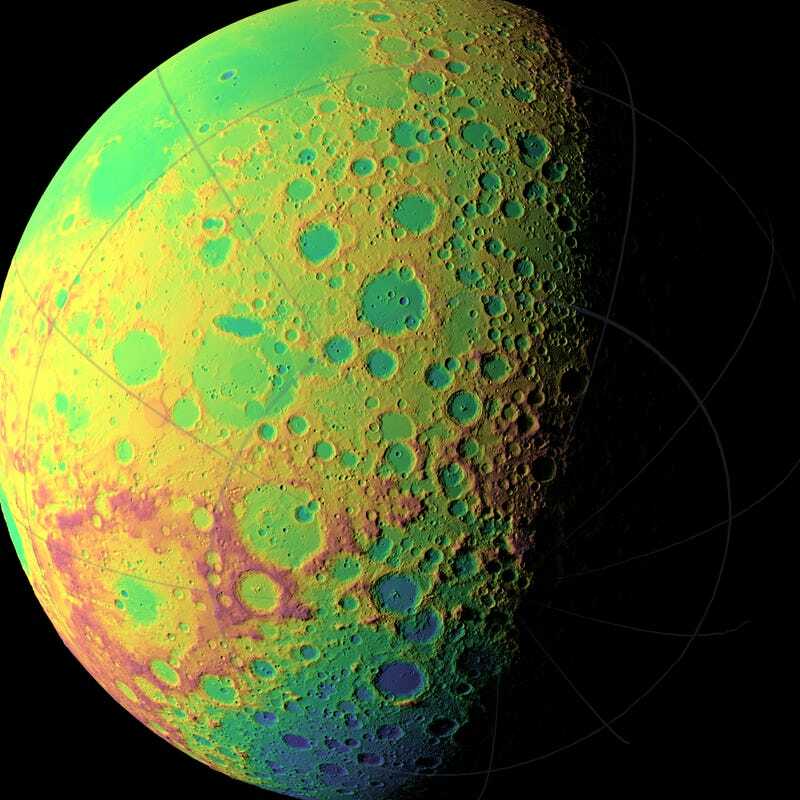 These are the most detailed relief maps of the Moon's far side ever created — NASA's Lunar Reconnaissance Orbiter captured the surface down to 30 meters. And thanks to false color (red=highest areas, blue=lowest) it's also our trippiest Moon yet. The pictures are a huge step towards an accurate lunar atlas — including the area where Apollo 15 landed. Images via Associated Press.